As a pioneer and industry leader in individualised technology for the treatment of painful joint injuries, Episurf Medical does something no other resurfacing implant manufacturer has done. We put the patient in the centre of the damage assessment and design of implants and surgical instruments. 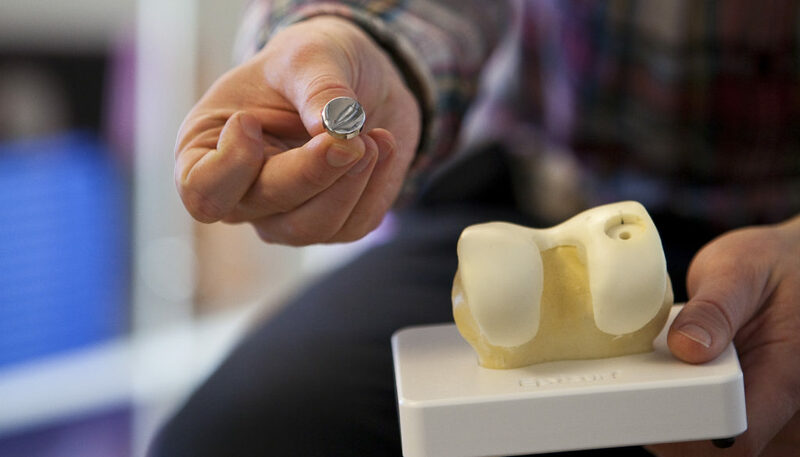 By combining advanced 3D-imaging technology with the latest manufacturing technology, we are able to adapt not only each implant to the patient’s injury and anatomy, but also the surgical instruments used. In this way, we can ensure that each patient receives treatment that is perfectly suited to his or her anatomy and, thus, ensure a faster, more secure, and better patient-specific treatment for a more active and healthy life. Historically, the industry has offered orthopaedic implants and surgical instruments in a standardised range, that is, “one size fits all” design. Episurf Medical is built on the simple idea that each implant and surgical instrument should fit and be designed for each individual patient, rather than forcing patients to fit the implant. This is why we have developed a next generation implant system that shall ensure a better outcome for painful joint injuries. Episurf Medical was founded in 2009 and develops and commercialises patient-specific medical devices for the treatment of painful joint injuries. Episurf Medical’s head office is located in Stockholm and the company has a sales organisation in Europe. The share (EPIS B) is listed on Nasdaq Stockholm. On our website, you will be able to find plenty of information about our technology and you will have the opportunity to meet patients who have been treated with Episealer. Do not hesitate to get in touch with us, should you want to know more.